I FINALLY got the One Sheet Wonder Template finished and I have added all the cards I created. I will have them all listed below with the punches I used as well! Hope you all will give this a try as it is a great way to make a lot of cards and FAST! The above image is NOT to scale, but the measurements work! I used the How Sweet It Is Cardstock pack, along with a bit of Whisper White and Basic Black card stock to make a few images really pop! I also did this version with punches instead of the Thinlits for those who may not have all of them. I will have another one with a Valentine theme to share with you soon. All the layers that you see behind the DSP are 1/4″ larger to make a nice frame. On some I did leave it as is with the DSP only. I added a few with layers of Punches or I used the same punch twice and just layered it behind in a stacking fashion. Cut at 5 1/4″, then cut at 2 3/4″, then you will be left with a 4″ piece. For the 4″, you will cut at 3 1/2 three times and be left with a 1 1/2″ piece at the end. 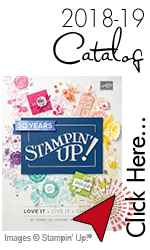 I ran a few bases through the Big Shot with different Embossing Folders, all of which I will list below in the supplies! Thank you for sharing your one sheet wonder!! !